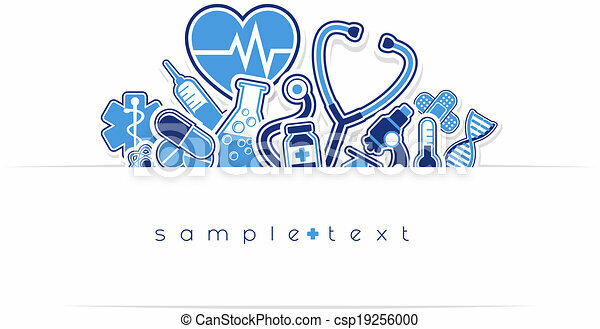 Heath care and medical design elements with copy space isolated on white background. 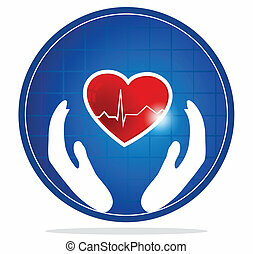 Medical and health care icons in the shape of heart. 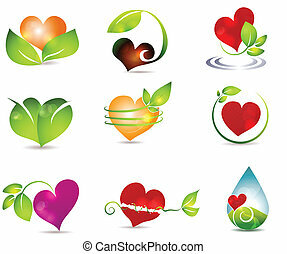 Heart and nature symbols. 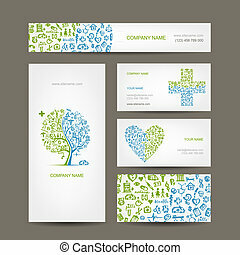 Bright and clean designs. Beautiful color combinations. Nature healing power. Cardiology and heart symbol. 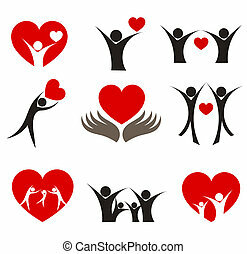 The heart shape symbolizes healthy heart beating and healthy blood circulation system. Hands symbolizes the healing and protection of human heart.